VIDEO OF THE WEEK: What do we leave behind? It’s been a long summer and I am looking forward to the start of an exciting new school year. I hope you have had a time to create many memories together with your family. Back in July, I enjoyed a trip to New York City and have been doing a lot of running, hiking, and camping. I am buoyed by news that there has been some progress made in the teacher dispute and that veteran mediator Vince Ready has agreed to assist in bringing both sides closer together. Read more here. I think that I speak on behalf of our entire staff when I say that we are very much looking forward to getting back to doing the work we love – fostering a love of learning and helping your children be the very best learners and people they can be! As Cambridge’s new principal, I welcome every opportunity to hear from you and to get to know students and parents. I hope you will take the opportunity (like I have) to either use Twitter or Instagram to introduce yourselves and to share your summer adventures and learning. 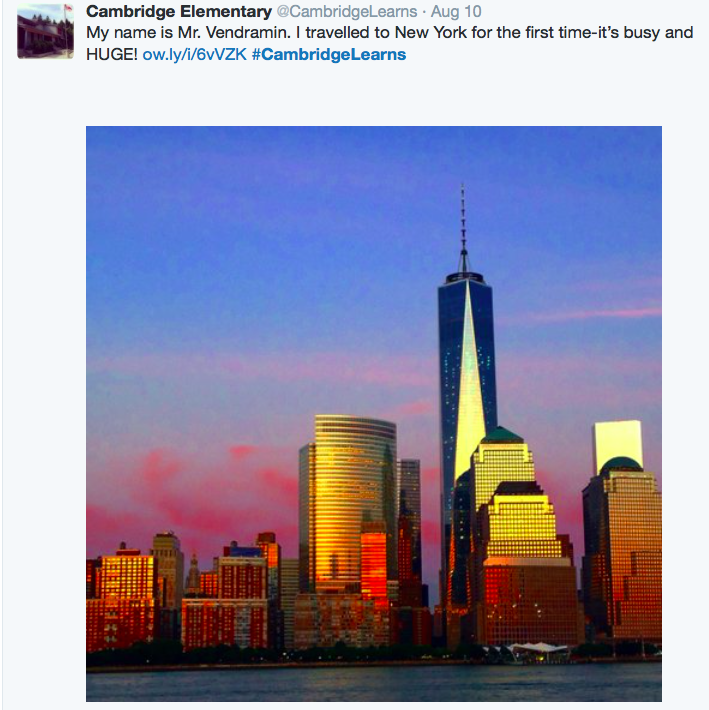 If you feel comfortable posting, be sure you use the #CambridgeLearns hashtag. Have a wonderful next few weeks and fingers crossed for a September 2nd school opening. While I know parents are looking forward to the beginning of a new school year, I certainly hope students are little more enthusiastic than the children in the video above. Back to school means being prepared for learning and this includes school supplies. If you purchased supplies through EDU-PAC, students will receive these supplies once they are assigned to classes (hopefully by the end of the first week of classes). If you are purchasing your own supplies, you can find updated supply lists on our school website. Below please find an updated staff list. Please note that grade levels are tentative at this point and could change based on enrolment. A complete staff list including our Education Assistants and support staff will be included in the next edition of CambridgeLearns. As we look forward to the start of an exciting new school year, thoughts turn to class assignments. Job action at the end of the 2013-14 school year hindered our ability to fully engage in class-building activities. As well, there are many new staff members joining us. Therefore, students will work in grade groups during the first few days of school as teachers get to know students and work collaboratively to develop classes. We will take feedback from both parents and previous year teachers in order to create the most appropriate learning environments.​ We hope that students will be in their permanent classes by the end of the first week, or by the very beginning of the second week at the latest. When students are placed in classes, the following factors are taken into consideration. As each class situation is different, the factors are not in order of importance. “Students in combined grade classrooms achieve as well academically as those in single grade classrooms. Students appear to benefit from the spirit of co-operation and mutual help that exists in these settings. 2-First day of school – 10:00-11:00 a.m.
3-First full day of classes – 8:38 a.m.-2:30 p.m.
5-Fine Arts Performance – “Dumpsta Dragrons” – 9:00-10:00 a.m.
10-Parent Teacher Conferences – Early Dismissal – 1:30 p.m.
11-Parent Teacher Conferences – Early Dismissal – 1:30 p.m. Welcome Kindergarten friends! We look forward to the start of the school year. 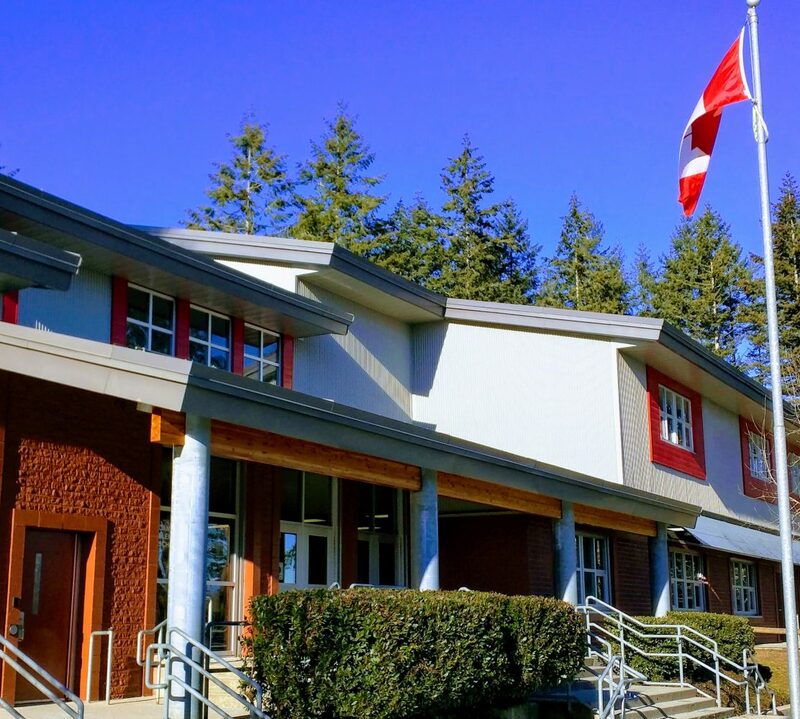 During the final week of August, parents of incoming Kindergarten students will be receiving information in the mail regarding the gradual entry. All Kindergarten students will begin attending full-time school on Wednesday, September 10, 2014. Stay tuned. As teachers and parents, we leave a legacy. Our legacy isn’t in the physical, but in what we believe, what we do and say, and how we treat others and make them feel. Watch and discuss this touching video with your child. What legacy will we leave behind?